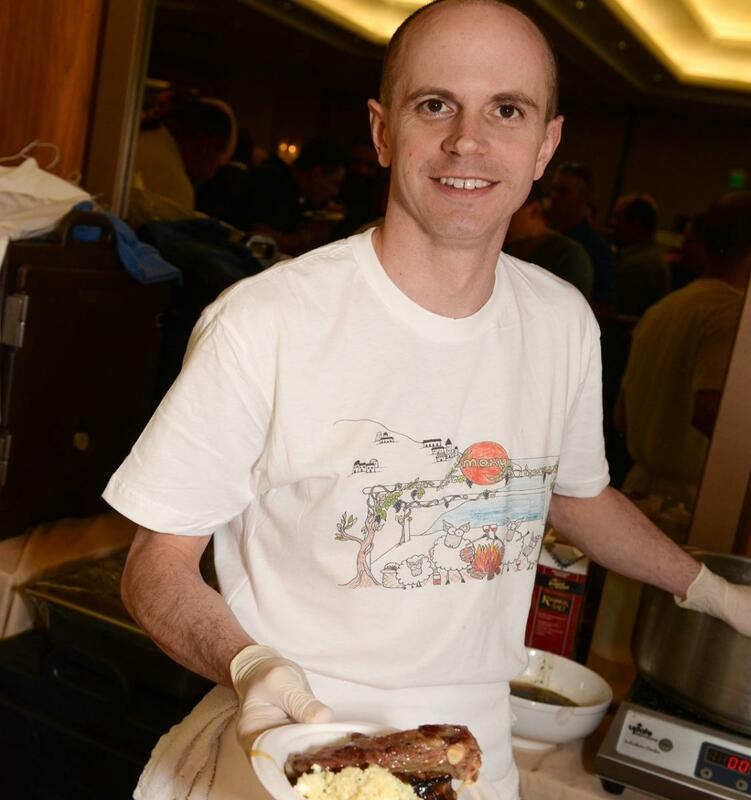 The local culinary authorities share advice on cooking and enjoying lamb, as they prepare to compete in this year's Boston Lamb Jam. The familiar proverb that “March comes in like a lion and goes out like a lamb” may not always ring true in terms of New England weather, but it’s certainly indicative of what’s on the menu. Twenty percent of U.S. lamb is consumed around the spring holidays, including Easter and Passover, according to Megan Wortman, the executive director of the American Lamb Board. Yet many people shy away from lamb because they think it tastes too gamey, are intimidated by the thought of cooking it, or find it expensive in comparison to other types of meat. At the risk of missing out on a truly delicious meal, I implore you: don’t be sheepish about eating lamb! This is a great time of year to experiment with it, whether you decide to order a new dish at a local restaurant or try out a recipe at home. If you’re truly looking to indulge in all-things lamb, head on over to the Boston Lamb Jam at the Royal Sonesta Cambridge on Sunday, Apr. 10, where Craving Boston's managing editor Catherine Smart and contributor Dan Whalen will be on the panel of judges. This fun-filled event features some of the most celebrated chefs in New England competing for the title of Champion; you’ll get to taste their flavorful and inventive takes on lamb, sample treats from local food and beverage artisans, and watch a whole lamb butchering demo by Savenor’s lead butcher, Christopher Walker. 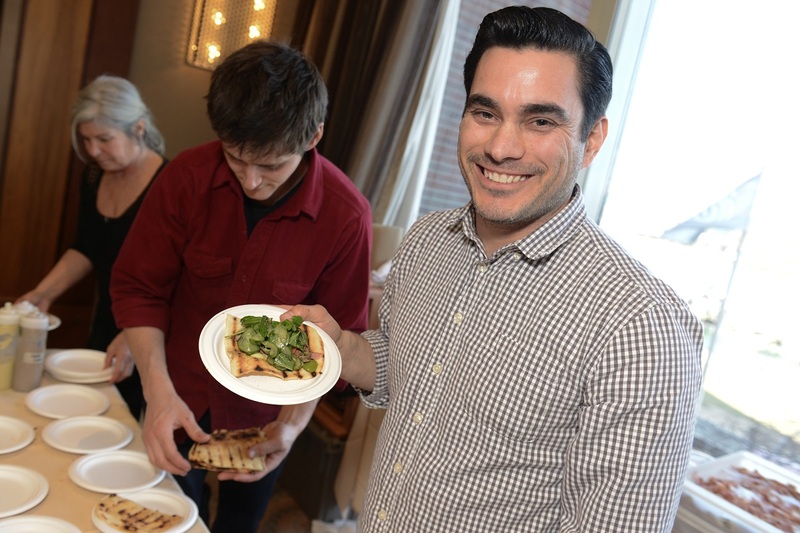 Mami Food Truck of Portland, ME, is the only non-brick-and-mortar competitor in this year’s event. “I think a lot of people may see it as a disadvantage,” says Chef Austin Miller in an email. “However, I feel often there is a disconnect between the kitchen and the guest. In our case, we know instantly if something is amiss, we interact immediately with all of our guests, and we absolutely love it.” Miller won’t disclose exactly what he’s making, but hints it’s a specially tweaked version of a regularly featured dish from the Mami menu. “The hardest part of this will be for us to create so many portions, but we will keep our heads down and rock it out,” he enthuses. When it comes to a favorite cut of meat, several of the chefs in the Boston Lamb Jam lineup agree that lamb shoulder is a real winner. “It’s extremely versatile,” writes Chef Nemo Bolin of Cook & Brown Public House in Providence, RI, “and is a good substitute for the more traditional leg of lamb for roasting and grilling.” Wiechmann likes to cube, marinate and skewer it, or use it to make sausage. He insists on buying lamb that has been pasture-raised outdoors. “It’s not just about the taste,” says Wiechmann, “it’s about the ethics of how it was raised.” He notes that you can get more bang for your buck by buying shanks and shoulder; they tend to be less expensive than the more popular cuts, such as ribs, chops and legs. 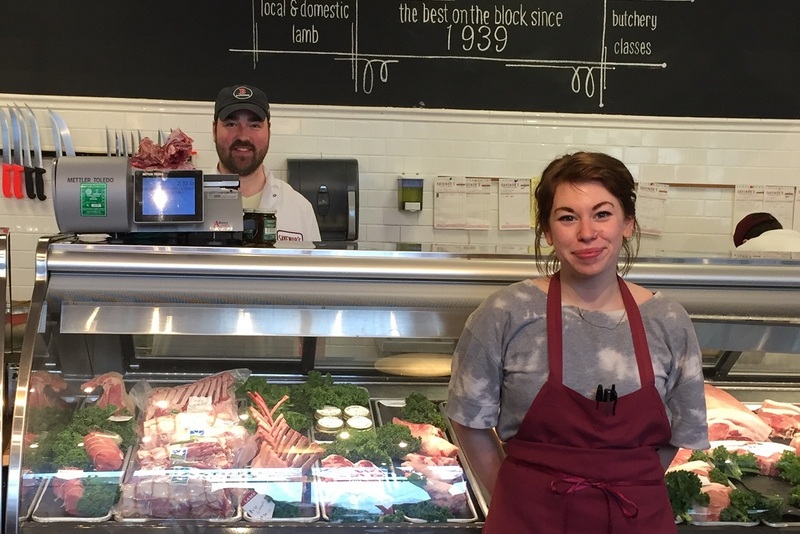 Natalie Singer, a manager at Savenor’s in Cambridge, recommends lamb neck as another economical cut. When braised, she says, “the neck is almost comparable to oxtail in texture. I had a lamb neck macaroni dish across the street at Kirkland Tap and Trotter last week, and it was amazing.” Miller, who gushes about the quality of the lamb he gets from North Star Sheep Farm in Windham, ME, also uses braised lamb neck in a variety of dishes at Mami. If you’re still hesitant about cooking lamb, you might want to check out the American Lamb Board’s site for recipes, cooking tips, videos and inspiration. Don’t be shy about asking your local butcher for recommendations on what to buy based on your budget, and how to prepare different cuts of meat. You can keep it simple by dressing lamb with garlic and salt, or experiment with ingredients like rosemary, mint, thyme, juniper berry, star anise, mustard and citrus -- all of which pair well with it. Or simply head to one of the many local restaurants in New England that feature lamb on the menu, and let the chef’s interpretation of it be your reward for seeking greener pastures to dine on. Visit the Boston Lamb Jam site to purchase tickets and learn more about the event on Apr. 10. Follow Amanda on Twitter @amandabalagur.